We’re a group of eternally grateful people saved by Jesus Christ! We call ourselves “the church of Christ” because we belong to Christ. We’ve been bought by His blood on the cross (Acts 20:28). He is our Head, we are His body (Ephesians 1:22-23). 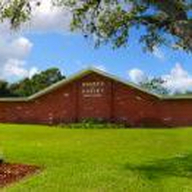 In the Bible, the church includes all the saved all over the world (Matthew 16:18), but we’re a local church that meets together in Altamonte Springs to worship the God who saved us!